Archives for November 2018 | Blog: Rituals & Spells: Love, Protection and Health! to uncover lies and betrayal, so that truth and true intentions are seen clearly. This ritual works with the rune Dagaz/Daeg, it is the symbol of 8. The God Tyr is a justice warrior and he condemns all falsehood. This rune include inside something from Tyr. This rune teaches us how wise is to smarten our senses and do not listen to words, but feel things with our bodies. Dagaz, Daeg shows us and learns us, that understanding and clarity are very important. It also says, that regular transformation in life is very necessary. 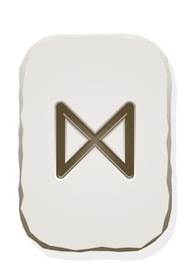 When you call this special rune for help, it will protect you from deceit and lies. Our thoughts are energy. And this energy, if it becomes very concentrated, can gain its of consciousness. This way, in un-matrerial level dwell entities, which posses certain knowledge and abilities. 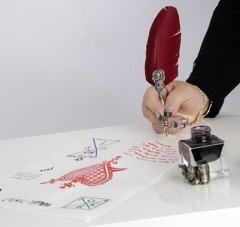 The basic idea of this spell is to connect with those powers, which are the personification of what you want and gain knowledge and "know-how". to support the healing process with the help of the puppet. The basic idea of this spell is the strong analogy work. Our focus and connection with the sick person is achieved by creating the representative of this person- a puppet. To create the doll from a cloth needs some time and effort. 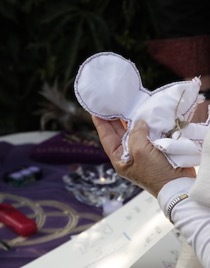 One should make this doll alone and concentrate all the time on the person, who s/he wants to heal. During time of the creation, one should focus on the result of this spell- the healthy and happy person!